Fleet industry stakeholders – including attendees at next week’s Fleet Show at Silverstone – are being urged to back a petition demanding HMRC to publish Advisory Fuel Rates for plug-in cars. ACFO says AFRs for plug-in vehicles could help drive fleet adoption. Part of an ongoing ACFO call for such rates – which it believes could help drive fleet take-up of plug-in vehicles – the petition is live on the ACFO website and will also be available for attendees to sign on the 9th May Fleet World Fleet Show, where the topic of plug-in vehicles will also come under focus in the seminar programme. Work by ACFO over the last year, including at its Fleet Industry Summit, has led to the development of a raft of data for HMRC covering calculated figures for Advisory Fuel Rates across the spectrum of plug-in vehicles along with source data and reasoning behind the calculations. 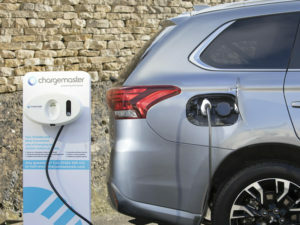 According to the organisation, the absence of defined mileage reimbursement rates for such vehicles is a handicap to some organisations including plug-in vehicles on their company car choice lists while those fleets that have already deployed plug-in hybrids could be suffering increased operating costs – specifically fuel bills – from such vehicles not being used correctly, as already warned about by ACFO, the ICFM and TMC. He added that although ACFO acknowledges that it is possible for businesses to calculate rates themselves and then obtain permission from HMRC to use them to reimburse drivers, it can be extremely time consuming. Expressing disappointment that HMRC has so far failed to respond to ACFO’s calls, Pryor said that he hopes that fleet decision-makers and the industry will support the petition in their thousands. The petition will then be submitted to HMRC early autumn in the hope that the Government will make a resultant announcement in this year’s November Budget. FIND OUT MORE: To sign ACFO’s AFR petition, visit its stand at the Fleet Show 2018. Click here to register.